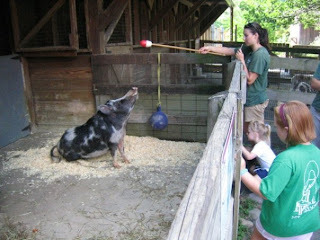 Doing a Hog Training Demonstration for all the people that came out for Breakfast in the Farmyard event at the zoo. Bella is such a champ, still pretty good on sit, even though we haven't trained in forever. Adorable!